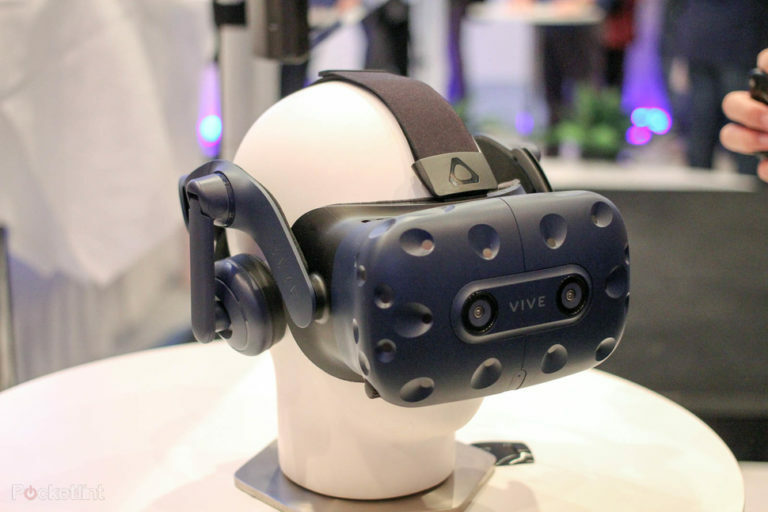 The HTC Vive, considered by many to be the leading virtual reality deviceon the market, has had an update worthy of a new product name: the HTC Vive Pro. Pocket-lint was on-hand at the launch of the new headsetto try it out to see what all the fuss is about. 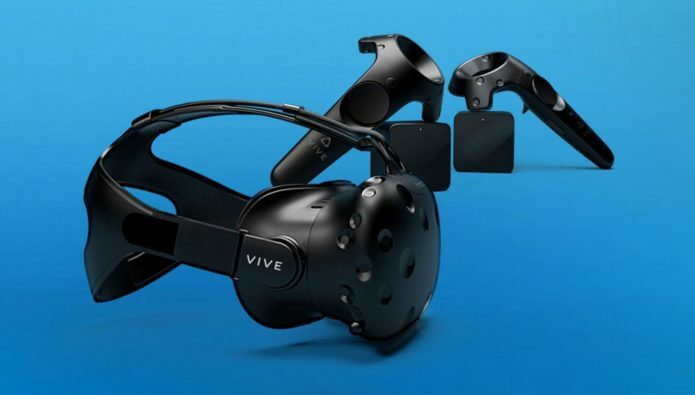 The HTC Vive has quietly been updated a number of times over the past couple of years, with constant refinements and tweaks. 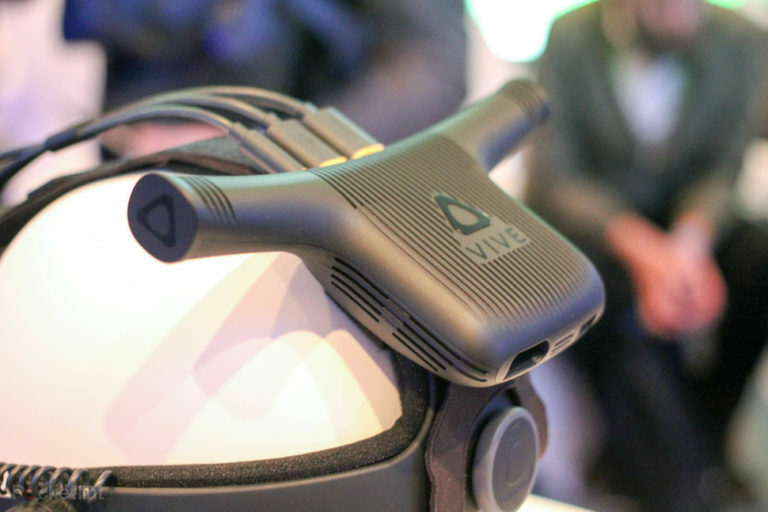 All the learnings from the original Vive are embodied here in the Vive Pro, with a headsetthat is now 50-per cent lighter than the original model when it was first launched. In our demo at the company’s press conference at CES in Las Vegas, we instantly noticed the difference. The headset isn’t as light as a feather, but it is light enough that you can forget you are wearing it, and it certainly doesn’t suffer from the top-heavy front display like the first models that came off the production line. That’s partly helped by a better distribution of the weight around the front and back of the device, but also a better overhead strap system and a new tightening system at the back that is more akin to a cycle helmet. In our demos, it felt very comfortable. Streamlining the design further is the inclusion of built-in headphones, although we do worry slightly about the frailty of the brackets they pivot on. We suspect many will snap them in the excitement of lowering and raising them. Additional improvements include dual microphones with active noise cancellation and dual front-facing cameras. Rather than black, the new headset is a dark blue. While the design has had a refresh, the bigger, important new feature here is the resolution bump. 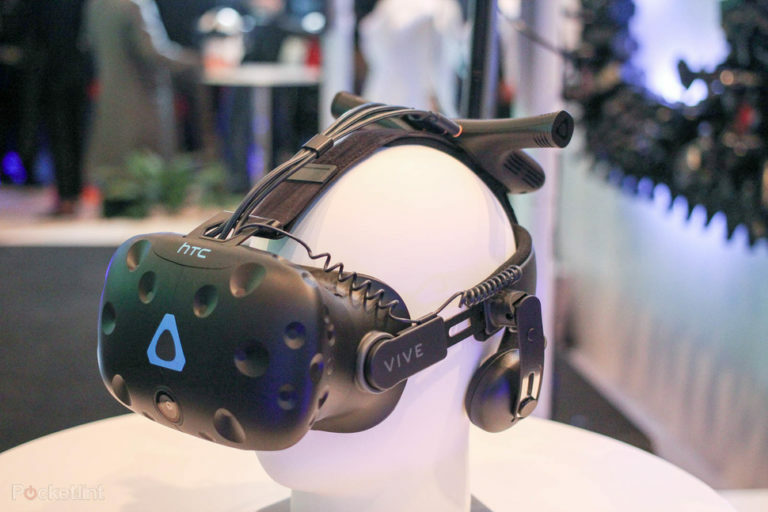 The HTC Vive Pro offers a 2800 x 1600 OLED display (615ppi). That’s 1400 x 1600 per eye – greatly improved over the 1080 x 1200 resolution of the existing version and certainly noticeable in our demos. Everything is much more cleaner and crisper, and it’s a lot easier to read text in the VR world you’re in. For us, that meant race times in a racing car simulation, and instructions on a fork lift truck teaching experience. HTC says the new screen is a 78-per cent increase in clarity. Eagle-eyed readers will notice that the new resolution isn’t 4K, but talking to HTC, the company doesn’t see this as a problem. 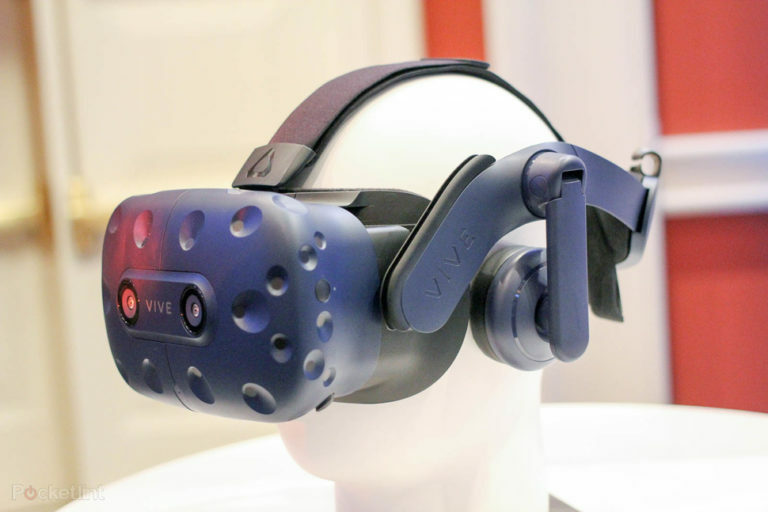 It’s created the best screen resolution it can, and it believes that it’s going to be perfect for most applications and most users, whether that’s watching VR content, playing games, or one of the many other applications people are starting to create for the virtual reality experience Vive offers. It’s not just the screen resolution that has been improved. HTC has added better headphones and better support for audio playback. In the short term, that means everything sounds better, and that in turn should help you immerse into the experience you are viewing. Our demos at the event didn’t really lend themselves to improved sound capabilities. However, HTC has told Pocket-lint that developers will be able to access an API to allow the environments they create to act against the sound you hear. If the room is filled with fabric and leather that will sound different to if you were standing in a concrete- and glass-clad room. It’s certainly interesting stuff, and one we look forward to playing with and listening to when developers start taking full advantage of the full options available to them. Not specific to the new Vive Pro, HTC has moved away from a 2D experience menu and catalogue system. Viveport will become Viveport VR. In the new system, menus and store pages will be displayed in a VR 3D landscape, and while it’s not likely to change the world, it will allow users to be immersed in a virtual world throughout the experience, rather than reverting back to flat menus or listing pages. We had a brief glimpse of the new system and it looks good. The Vive Pro will work with the touch controllers and the room sensors already available. For customers who already own the current setup, they will be able to upgrade when the headset goes on sale by the end of March. Everything will still work, it will just be a case of swapping over the headsets. For those that want to take advantage of the new room sensors (consumers will be OK with the current ones), HTC will sell a complete package toward the end of 2018. It will feature upgraded room sensors designed for more commercial environments and the Touch controllers. Furthermore, in the summer, HTC will release a dedicated, first-party wireless adapter to allow you to ditch the wires connected to the PC completely. 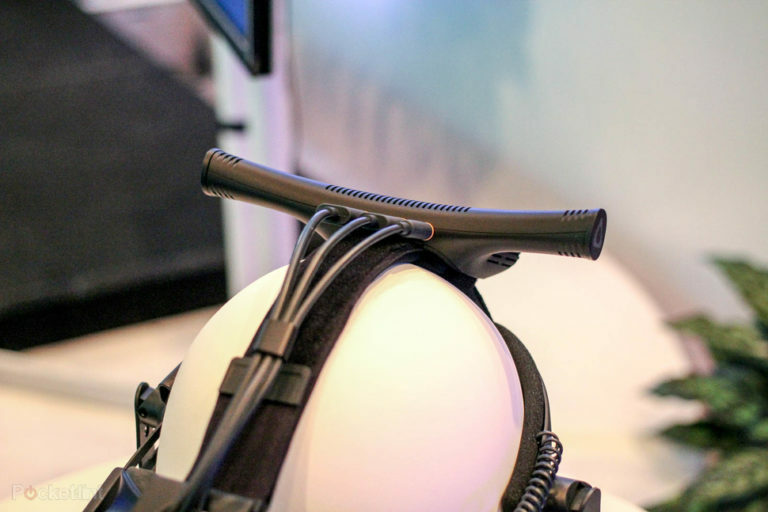 The HTC Vive Wireless Adapter will use Intel’s WiGig technology to stream the data to and from the PC and should make a huge difference in how you use the technology at home and elsewhere. The wires have been one of the biggest hurdles to VR adoption, and while you can already get third-party wireless adapters, the hope is that HTC’s internal knowledge of the headset will mean it will be the one to get. The original Vive is very good, and it will continue to be on sale, even after the Pro comes out, leaving this device designed for those who want “the best” when it comes to a VR experience. Even in our brief time with the new Pro model, it’s clear that HTC has created something that continues to build on the eco-system it’s been creating for the past couple of years. The Vive Pro is certainly impressive. The clarity of the screen is lovely. The headphones add to the overall experience. The Pro name reflects perfectly what this product is about, and we are sure avid fans and heavy users of the original will be keen to upgrade.